A live person answers our phones 24/7! American Security Devices is your go-to security company in the DFW Area serving residential and commercial clients in the entire state of Texas. We have been providing assistance with business and home security systems since we established our company in 1988. Many of our customers have been with us from the beginning because we strive to develop long-term relationships with them through our excellent service. We take the time to evaluate our clients’ needs and objectives so we can design a customized and complete loss prevention solution. I would like to express my appreciation for your team. I have been a customer for 11 years and received wonderful service from all employees. In fact, I have been so happy; I have referred ASD to friends, family, and the office that I work with. Whether it was a call for help with my system or for a new install to our new house, you have always been very quick to respond. In today’s society, it is hard to find companies that are quick to respond, and I want you to know we appreciate it. I also have to say that with two children, it adds a sense of safety knowing we are protected by ASD. When we moved in July, I really appreciated Mark going over the system with my children. It just makes us all feel safe and secure. 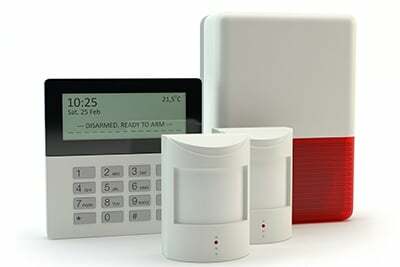 At American Security Devices, your safety and comfort is our top priority. We are here for you whenever you need us. Our knowledgeable support staff is available round the clock to give you the information you need about our security services.